The aircraft was handed over in early February to skydiving company Freefall Thailand. 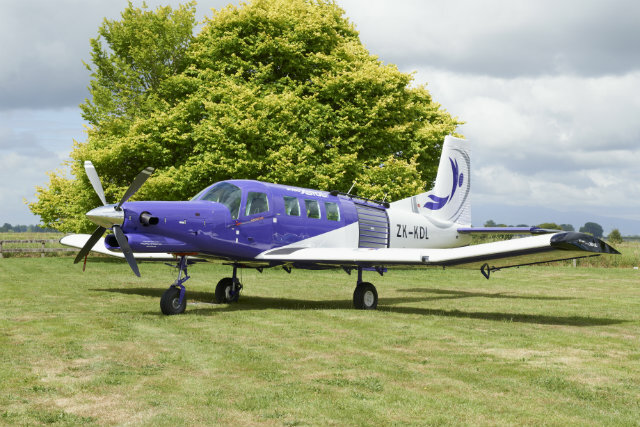 The skydiving market accounts for about a third of P-750 sales with the remainder ranging from ad hoc charter and scheduled services to cargo transport and pipeline inspection. “We have sold 112 P-750s to date,” says Mark Crouch, Pacific’s general manager, global markets. Papua New Guinea, with its remote communities, rough terrain and poor transport network, has become the largest market for the nine-seat type with 18 aircraft in service. “XSTOL stands for extreme take-off and landing, and this capability is essential for aircraft operating within this country,” says Crouch. The Pratt & Whitney Canada PT6A-34-powered P-750 can take off and land in less than 800ft (244m). It has a maximum speed of 170kt (315km/h) and a range of 1,180nm (2,190km). Crouch believes the P-750’s short-field performance will also be a major draw for operators across South America, a market it has yet to penetrate. “We haven’t cracked this region yet,” he says, “but there is so much potential here for this aircraft”. Pacific delivered 12 P-750s in 2016 – double the output for the previous year – and plans to ship 25 units in 2017. “We plan to double the number again by 2019,” says Crouch. China’s growing appetite for the P-750 should also help it to reach its 2019 delivery goal. “This market is very strong,” Crouch says. Pacific set up a joint venture last year with Beijing General Aviation Company to assemble P-750s for the Chinese market. The facility in Changzhou has the capacity to build up to 100 units a year. “We supply aircraft kits to the factory, which are then assembled and delivered to Chinese customers,” Crouch says. The first aircraft was completed late last year and the second kit is packed and awaiting delivery. “We are also about to ferry-fly two finished aircraft from our Hamilton base to China, while another two units are in production and scheduled for delivery this year,” Crouch says.